Japanese car maker Nissan said on Monday it will open its manufacturing facility in Chennai developed jointly with Renault next month, from where it will roll out the latest generation of its compact car Micra for the Indian market. "The facility will be inaugurated by Chairman and CEO of Renault-Nissan alliance Carlos Gosh on March 17," a company official said. The Chennai plant is developed by Renault-Nissan Automotive India Pvt Ltd, a joint venture between Renault-Nissan alliance with an investment of Rs 4,000 crore (Rs 40 billion) with a capacity to produce four lakh units annually. According to industry sources, Nissan will roll-out the latest generation Micra from the plant in May for the Indian market. The official, however, declined to comment on the model of the car saying, Nissan's global plans for the compact car that will be manufactured in five countries including India, will be announced at the upcoming Geneva Motor Show in March. Earlier Nissan has said, it will shift production of Micra in the UK to India which will be used as export base for the company. 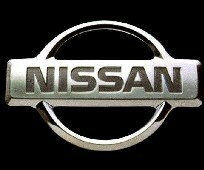 For the domestic market, Nissan had announced that it plans to have nine models in India by 2012, out of which five would be manufactured locally. Currently it sells only two models, the Teana sedan and SUV Xtrail in India. Nissan had said it aims to achieve a market share of 5.5 per cent in India in the future, which is equivalent to the global market share of Nissan. The Indian car market is at over 1.2 million units currently.